WINTER CAMP @ PAUL REVERE MS! For those 5th graders or new incoming students out there, We encourage parents to take advantage of the excellent opportunity for you and your child to explore the Paul Revere campus and get to know some of Revere physical education staff. Give your child a head start on the next three years by signing up for SPORTS MANIA camp today! BIG NEWS!! –We now offer a daily HOT LUNCH option! We have partnered with Pinoccio’s Cucina in the Palisades! *Hot Lunch Available EVERYDAY – $8 ea. Address: Paul Revere MS. 1450 Allenford Ave. Los Angeles CA 90049. 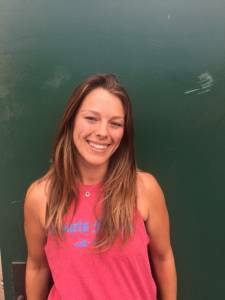 Camp Director – Brittany J.
Brittany has been teaching and coaching on the westside for over 8 years. a former soccer player and PE teacher at CDA Elementary, she is amazing in every way! Brittany knows how to lead the team to victory! We are a combination of credentialed teachers, high school and college coaches, collegiate and professional athletes. All share the love of sport and have the enthusiasm and knowledge it takes to see each child succeed. Are you a Sports Maniac? Here’s a list of some of the sports and activities you will be involved in when you attend Sports Mania at Revere MS… Volleyball * softball * dance * soccer * track and field * yoga * basketball * gymnastics * flag football * tennis * fitness challenge * golf * lacrosse * hip-hop dance * tie-dye * arts & crafts…and sooooo much more!